What are mast cell membranes made out of? What would weaken or strengthen them? Web searches bring up a lot of information about mast cells but very little on the membrane. And the Wikipedia page is not clear as to whether or not additional calcium or sodium fluoride would improve/weaken mast cell wall strength. Embedded in the bilayer are transport proteins, receptor and so on. Calcium and sodium fluoride have no effect on the integrity of the membrane. Although the Wikipedia page on dermatographism refers to "weak membranes" it cites no source for this, and like Chris, I haven't found any mention of this in a quick look at the literature. Histamine is usually released from mast cells in response to specific stimuli by a degranulation reaction (internal vesicles fusing with the surface membrane to release their contents) and I would guess that abnormal degranulation is a more likely cause than cell lysis. In a recent paper (Ralph, JW (2013) Evidence for a role of neural pathways in dermographism. Brit. J. Dermatology 169, 1357–1374) a case is reported of a man who combines dermatographism with a syndrome called "stocking-glove neuropathy". This latter syndrome results in a pattern of loss of sensation in the lower arm. When the dermatographic reaction is triggered in this patient the resulting weal does not extend into the affected part of the arm, suggesting that neural activity is part of the trigger for dermatographism. In other words, in those suffering from dermatographism, sensory nerve activation would somehow result in cross-talk into the pathway for stimulating mast cell degranulation. Not the answer you're looking for? Browse other questions tagged cell-membrane histamine or ask your own question. Why don't surfactants destroy or incorporate into cell membranes? Are nucleic acids found in cell membranes? Why does K+ move out of the cell? 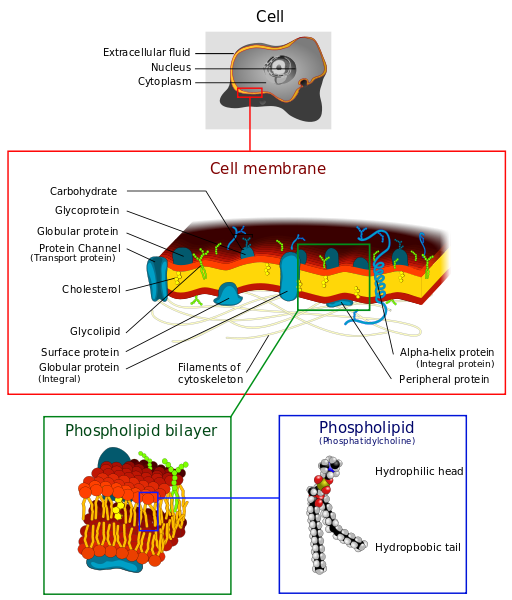 Why are sugars like mannose expressed on the outside of eukaryotic cell membranes?